Great week for Big Fish with big catches of 16 lbs and over returned. Prolific Midge hatch and Dry Fly angling. The biggest of the week where both caught on the Doxford an enormous Rainbow Trout weighing 18 lbs caught by Barry Nicholson from Stakeford, using Olive drys. A 17 pounders was also returned by Brian Quigley and three doubles by Ian Smith from Middlesbrough of 14lbs, 14lbs, and 18 lbs using a Spider Sedge and Bibio. 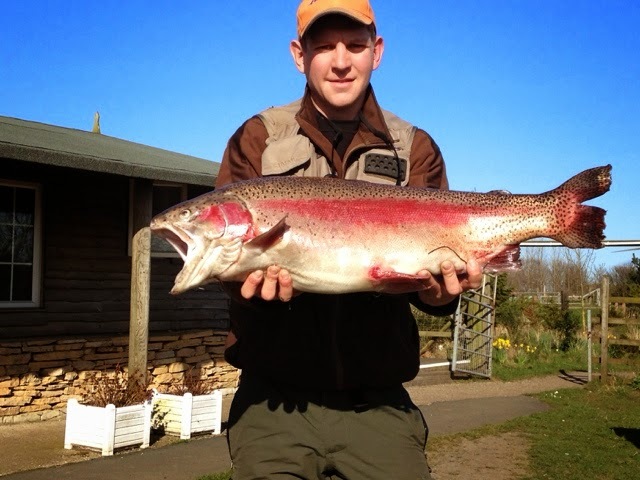 Paul Runec also from Middlesbrough caught a 16lb 4oz Rainbow an Olive Worm. Plenty of big bags netted at 15 fish caught by Mitch Fawcus from Blyth and 16 by Micky Bell of Gateshead also 13 by David Robson from Seaham. Milder temperatures and cloudy skies have done nothing to temper the prolific midge hatches. 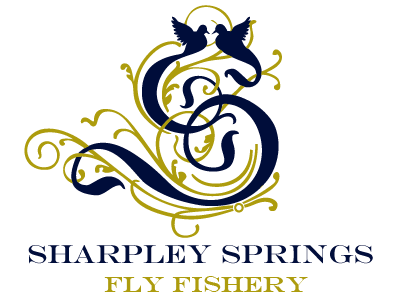 They have again ensured excellent dry fly angling with patterns that hang below the surface film and mimic the final metamorphosis of the buzzer into adulthood.Foam -heads and closely cropped CCDs in shades of brown and green were the best. The buzzers are getting larger now with olives,blacks and grey all showing. The week just gone also saw the first daddies of the season-another arrow in the angler's quiver.